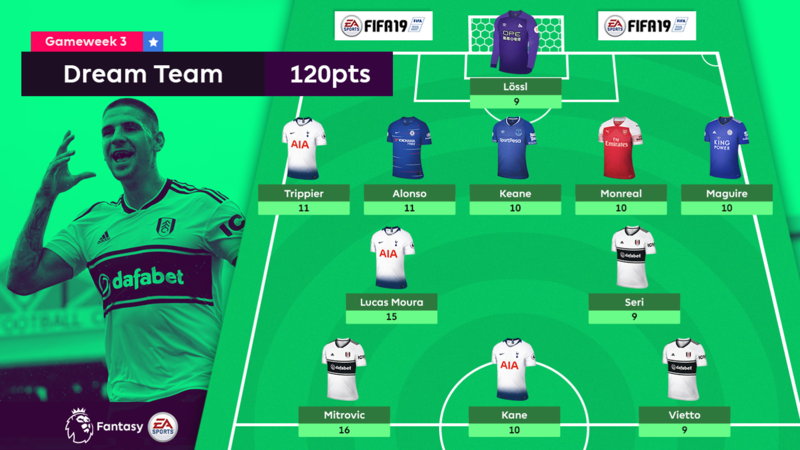 No fewer than five defenders produced double-digit points hauls in Fantasy Premier League to take their place among Gameweek 3's biggest scorers. 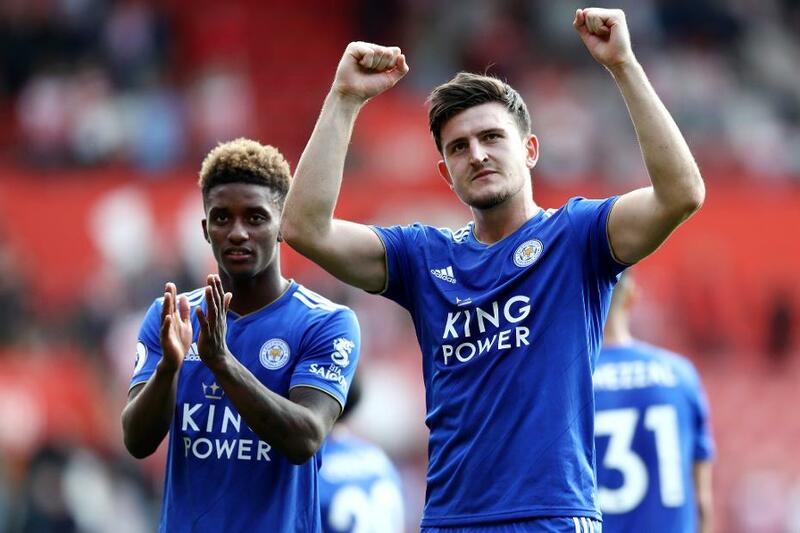 Harry Maguire scored his first goal of the season for Leicester City, earning his spot in a Dream Team. Eight of the 11 players in the team, employing the rare 5-2-3 formation, represented London clubs. The Huddersfield Town goalkeeper was a major reason why the 10-man Terriers held on at home to Cardiff City. Lossl earned both save and bonus points in the goalless draw. The first of three Tottenham Hotspur players in the Dream Team, the right wing-back earned his second consecutive 11-point haul courtesy of an assist, a clean sheet and two bonus points in the 3-0 win at Manchester United. The Chelsea full-back made it three straight matches with double-figure returns, providing two assists in the 2-1 away win over Newcastle United. Owned by 32 per cent, he is now the leading points scorer in FPL, with 35. The centre-back scored in Everton's 2-2 draw at AFC Bournemouth, his first goal in more than a season. But a head injury is likely to keep him sidelined for a month. The Spaniard helped to secure Unai Emery's first league win as Arsenal manager with the equaliser in the 3-1 win over West Ham United. Monreal now has four goals in his last 11 Premier League starts. He had managed three in 136 appearances prior to that. A stoppage-time winner at Southampton helped propel the Leicester City defender to maximum bonus points, rewarding his 15.6 per cent ownership. The Brazilian scored twice on Monday and now has three goals from his last two appearances. He is currently the second-most bought player heading into Gameweek 4, with more than 194,000 new owners. The Fulham midfielder's third PL start produced his first goal in the 4-2 win over Burnley. It was his only shot on the day, but he also created four chances on the way to two bonus points. Gameweek 3's highest scorer, Mitrovic hit two goals and provided an assist for maximum bonus points. He is the most-bought forward in Gameweek 4, ahead of Fulham's trip to Brighton & Hove Albion. The Spurs striker maintained his new-found taste for August goals with the opener at Old Trafford. He also provided an assist and earned two bonus points. The Argentinian made it three Fulham players in this week's Dream Team. Vietto marked his first start for the Cottagers with a pair of assists in a performance enjoyed by only 0.5 per cent of FPL managers.